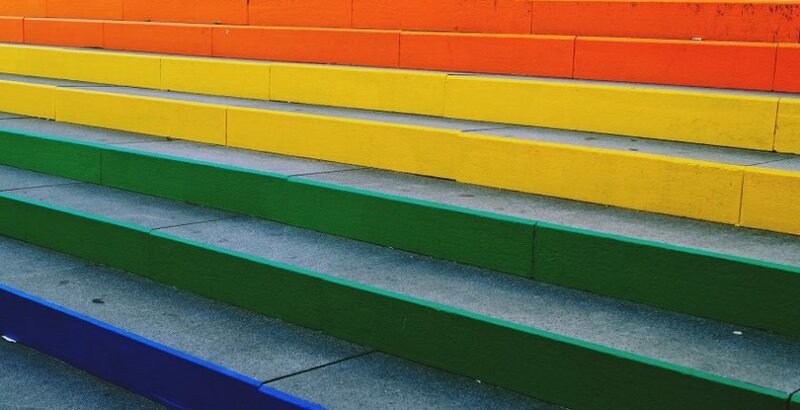 The College of Psychiatrists of Ireland > Blog > Blog > Pride month: Ireland has said ‘Yes’ to equality, but do LGBT people feel equal? It’s LGBT Pride month and there are many reasons to celebrate, but where stigma, bullying and mental health are concerned, we still have a long way to go. However, while Ireland has said ‘Yes’ to equality, there is still a lot to be done to ensure this equality is tangible for all members of the LGBT community. The LGBT Ireland report, the most comprehensive study of LGBT people in Ireland to date, reported very worrying levels of poor mental health among LGBT people below the age of 25 who recounted twice the level of self-harm and three times the level of suicide than their non-LGBT peers. Also those who had experienced LGBTI bullying in school have a significantly higher chance of suffering from depression, anxiety, stress, low self-esteem and alcohol abuse. Mental health is by far the biggest issue that we have yet to face on a proactive level… Framing change with an eye on this will also focus us on tackling bullying, social isolation and discrimination and the myriad of other things that can damage mental health”. Bullying remains a consistent issue for LGBT people. Of the 3072 LGBT people surveyed for Burning Issues survey (BelongTo and GCN) 22% rated the eradication of bullying and intimidation of LGBT people as their top burning issue. Support for LGBT young people in schools is also severely lacking. Homophobic and transphobic bullying in schools often goes unchallenged and can lead to devastating consequences for the mental health and well-being of LGBT youth. Support for the introduction for hate crime legislation, which boasts a 90% importance rating, would mean attacks and bullying of LGBT people would be dealt with sensitively and taken as seriously as attacks on all other members of the public. Another burning issue for LGBT people is the need to disclose ones sexuality to healthcare professionals, something that REFOCUSer Laura Louise highlights in her Pride interview, available to hear on the College blog. This is a crosscutting LGBT issue and spans general health, mental health, sexual health and transgender health. The need for mandatory LGBT training is an urgent one so the provision of healthcare is suitable for each individual’s need. To read Lesbian, Gay & Bisexual Patients: The Issues for Mental Health Practice please click here. These guidelines were developed by the College of Psychiatrists of Ireland in collaboration with GLEN (Gay and Lesbian Equality Network) to inform psychiatrists of what they need to know when providing a mental health service to a lesbian, gay or bisexual (LGB) persons. To read the Transgender and Gender Dysphoria Information for Psychiatrists booklet (TENI, supported by European Commission and the Equality Authority) please click here. This leaflet is intended to raise awareness about transgender people, help mental healthcare providers understand and address trans issues, and assist in providing effective treatment and care of transgender individuals. BeLonG To run a number of different programmes that young people can utilise, including an in-house counselling service carried out in partnership with Pieta House and more informal one-to-one supports. Info on both of these can be found by clicking here.